OCEAN VIEW-TOP FLOOR-END UNIT! 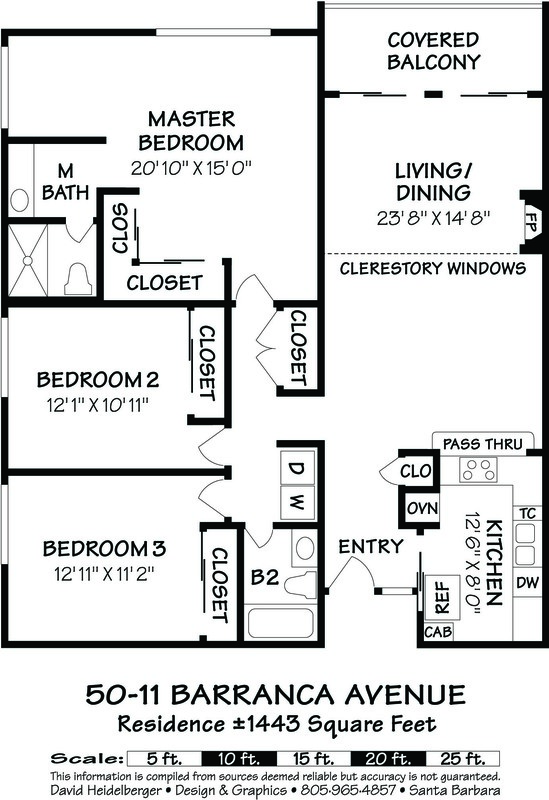 This 3bed/2bath Mesa condo is 1443 sq. ft. and ready for someone to make it their own. Enjoy panoramic ocean and harbor views from the living room, balcony, and each bedroom! This single-level condo features elevator access and 3 PARKING SPACES in the common garage. Additional features include: new interior paint, vaulted ceilings, skylights, in-unit laundry, and living room fireplace. This complex just went through a multi-million dollar renovation including new walkways, pool/spa, landscaping, security gates, and more! Just a short walk to Leadbetter Beach and Shoreline Park. Shoreline Condominiums 50-11, Santa Barbara, CA from Mike Richardson, Realtors on Vimeo. House Size: 1443 sq. ft.